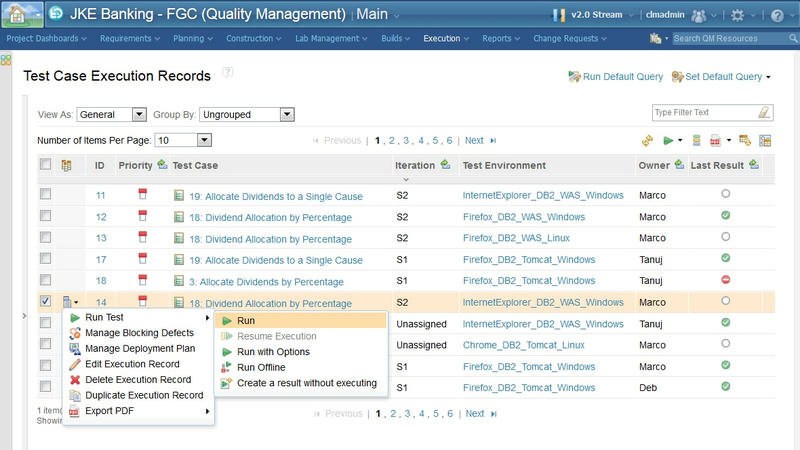 Increase efficiency and quality of software delivery with test planning, workflow control, tracking, and metrics reporting. Available on prem and as SaaS. Rational Collaborative Lifecycle Management integrates requirements, configuration and change management, planning, tracking, quality management, and reporting. Strategic requirements management and traceability solution focuses on development lifecycle collaboration. (CLM) Available onsite and on cloud. Explore a collection of in-depth information for this product.